Mottram is available in either five or six button fastening. 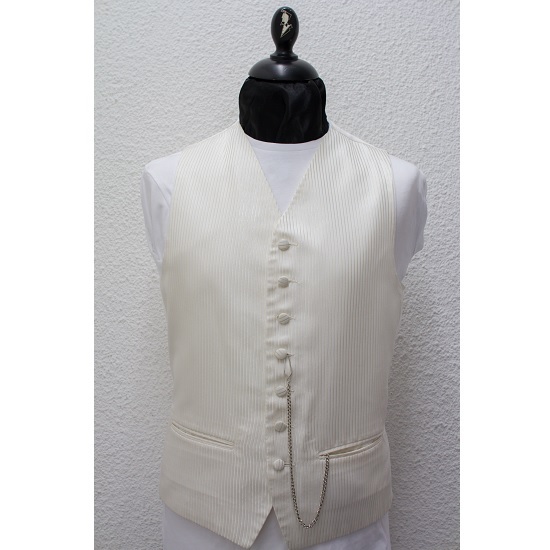 This ivory waistcoat is also available in silver (See Tenby). If you can't make it to us for your initial measurements please send us the details and let us know when you want your suit ready for fitting / collection. Our measurement guide will guide you through the process. Do you wish to enter your measurements? Please tick here to consent to us collecting, storing and processing this information. This data is stored in a GDPR compliant manner and we will not pass this information on to other parties. To agree, please tick the box.